Nomo's Sushi Platter shares a Belisario auto from the Dodgers FanFest. He promises additional future post featuring FanFest. LA Blue Crew shares his photos and videos from the Dodgers FanFest. David got a bunch of Dodgers signatures at FanFest and has photos to prove it. Eye on LA Sports has a full recap of this past weekends events; including pics from the FanFest. The attitude of fans also has to change. The best way to stop the violence in the parking lots is for Dodgers fans themselves to decide they won't tolerate it anymore. That should have happened already, no? It hasn't. I don't care if it takes switching from "Take Me Out To The Ball Game" to "Kumbaya," it's really up to them to bring law to the Wild West's parking lots. 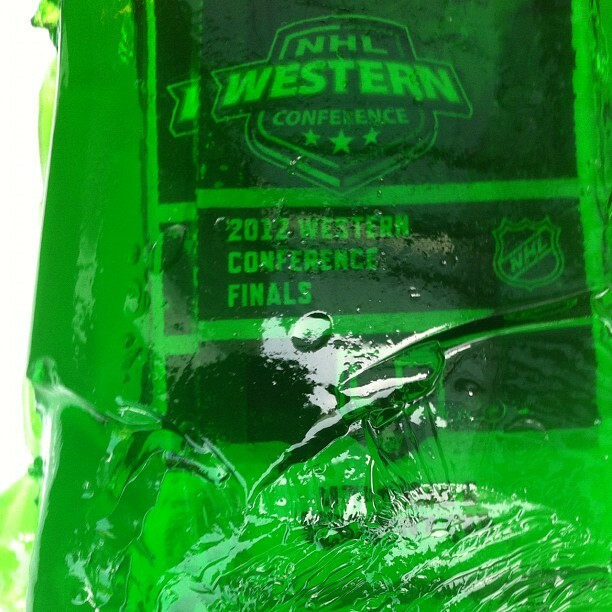 What a game last night. Don Mattingly Makes the Call; Dodgers Reap the Rewards, via Steve Dilbeck of the LA Times. The Dodgers were down 5-3 to the Cardinals with two runners on in the seventh Sunday when Mattingly sent rookie Scott Van Slyke to pinch hit. The count went to 3-0, and the careful manager would have signaled for his kid with eight career at-bats to try to take the walk. Only Mattingly gave him the green light, let him swing. The 6-foot-5, 250-pound Van Slyke almost had to do a double-take. As you know, Scott belted a 3 run homer to put the Dodgers in the lead of the game for good. Mark Ellis almost list his leg, via Tony Jackson at ESPN. Jon Weisman at Dodger Thoughts takes a look at meltdown innings. Billingsley is not as good a pitcher as Kershaw. That much is clear, and it’s reflected in the fact that Billingsley is a bit more vulnerable to a bad inning than Kershaw is. But this idea that Billingsley is uniquely prone to the meltdown inning – that it’s practically his calling card – is harder to sell. 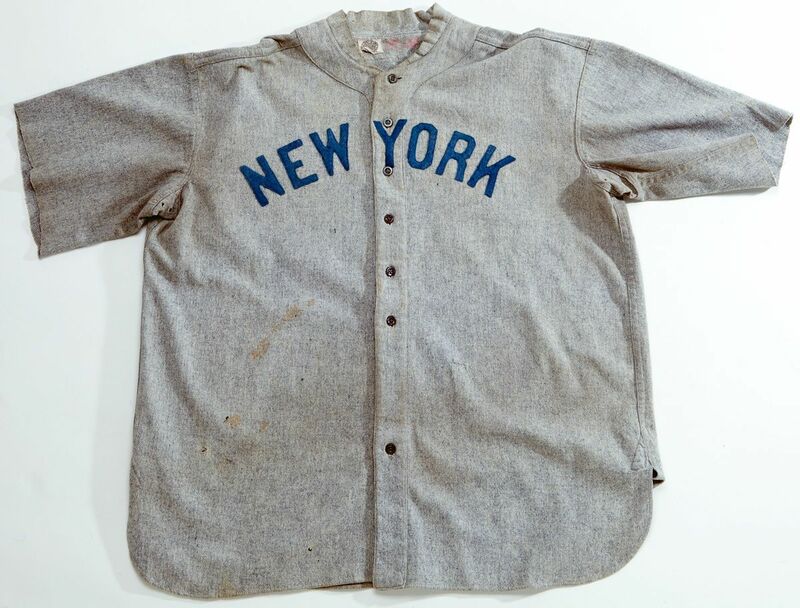 Earliest known Babe Ruth game-used jersey sold at SCP at a record $4.4 million, via Sports Collectors Daily. It was once displayed at the Babe Ruth Museum in Baltimore. Check out this great video of the solar eclipse this past Saturday. 700 pictures through a Coronado Solar Max 60 Double Stack telescope were used to make this video. The Telescope has a very narrow bandpass allowing you to see the chromosphere and not the much brighter photosphere below it. Following on last weeks post focused on 1988 Dodgers related memorabilia from Orel Hershiser's collection, here are some additional Bulldog items to gawk over. Hershiser was not only great for the Dodgers. He was also very good for the Cleveland Indians. In 1995 he lead the Tribe to an American League Championship and captured the MVP award for his efforts. BTW, he remains the only pitcher to win the LCS Most Valuable Player Award in both leagues. 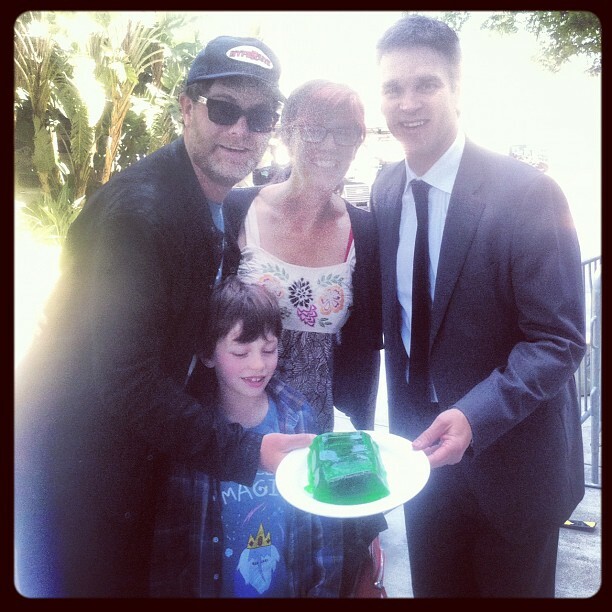 Check out the award below. See, I told you Orel was a big collector. 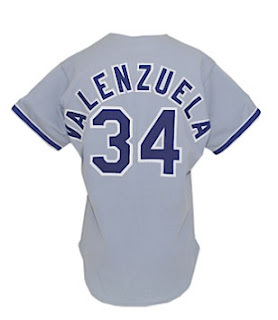 Here is a 1981 Valenzuela jersey from his personal collection. 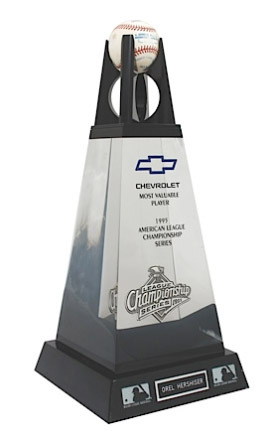 Fernando won the Cy Young, Rookie of the Year and Silver Slugger Awards that year. As told to us by Orel, he went to a Kings game in Los Angeles in 1989-90 and after the game, visited with Wayne Gretzky in the Kings locker room. 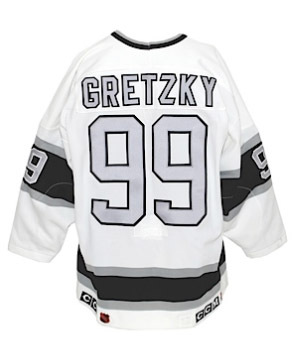 Gretzky gave Orel the shirt off his back from that game. 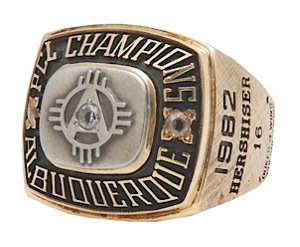 Below is Hershiser's 1982 Albuquerque Dukes Championship ring. This would be great to have for any Bulldog Collector. 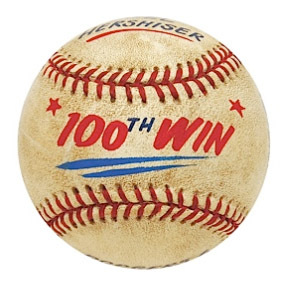 It is a game-used ball from Orel's 100th win on June 9, 1991.